With the rising acceptance of the vacation rental market, your Costa Rica vacation home can become a viable income producing property. At Sierpe del Pacifico , we have seen the vacation home rental market become highly profitable over the last two years, while remaining easy to manage and market. These are indications of continued growth in popularity and income generating potential. There are several reasons why the market for vacation rentals is growing and becoming more lucrative. In most cases, renting out a vacation home offers significantly more value for the money than a hotel or resort. Private vacation rentals are self-catering and don't incur the additional costs related to hiring employees or offering various "guest services". Renting a vacation home offers more space with more privacy and independence than a hotel. Also, the lack of high "extra person" fees makes it more affordable for families. Finally, the free use of kayaks, mountain bikes, gardens, and hiking trails offers extra "adventure value" in the minds of our renters. The vacation home rental process is very simple. For a modest annual fee, you can easily showcase your Sierpe del Pacifico vacation home and popular attractions of the surrounding area on well-known vacation home rental listing websites, such as HomeAway.com and VRBO.com. These sites offer a variety of helpful resources to create an attractive listing and manage the logistics of bookings. Furthermore, traveler reviewing and ratings systems featured prominently on the listing pages ensure vacation rentals are enjoyable and "as advertised," thus instilling stronger consumer confidence in the vacation rental model. Additionally, many of the major listing websites have recently engaged in national advertising campaigns increasing awareness of the vacation home rental option. Sierpe del Pacifico management offers additional services to ensure your rental property objectives are met for an affordable and sustainable fee. Depending on your desired involvement, services can include the following: communicating with prospective renters about availability and rental terms, preparing your vacation home for the renters, and ensuring their stay is enjoyable and as expected. At Sierpe del Pacifico we are experiencing a considerable increase in demand for our vacation home rentals. Our most popular rental unit (currently available for sale): 2-bedroom, 2 bath, 905 sq. ft. home with a valley view - had an occupancy rate of 50% during the 2010/11 high season period. For the 2011/12 high season we have already achieved 85% occupancy from Dec. 15th through the end of March. This is especially notable since we require a minimum 3 night booking and inevitably have 1 or 2 day gaps between bookings that will never be rented. With numerous inquiries coming in for April dates, we expect to achieve at least an 85% occupancy rate through the remainder of the dry season. With the high season weekly rental rates ranging from $700-$1,100, we expect to gross a total of $13,480 during the dry season. Adding this amount to last year's wet season gross of $6,060 - a result of 25% occupancy rates and rental fees of $600-$800 a week - we get annual projected gross revenues of $19,540 for 2011/12. For the 2012/2013 rental season we plan on raising rental rates 15% during the high season and 5%-10% during the low season. The listing price on this 2 bedroom, 2 bath valley view home with an ocean access boat slip on the Sierpe River is $139,990. With other SDP lots starting at $36,000 in price, and construction costs that include furnishing and solar system installation starting at $60 a sq. ft., it is possible to own a vacation home that should garner $600-$800 a week in rental fees for under $90,000. Having a Costa Rican vacation home that will appreciate in value over time is a proven investment. Having a Costa Rican vacation home that will appreciate in value over time and pay for itself along the way is an even better investment! To learn more about the lots and lot/home combos available at Sierpe del Pacifico and their vacation rental income potential please contact me (cfscheer@gmail.com) 715-699-2715. 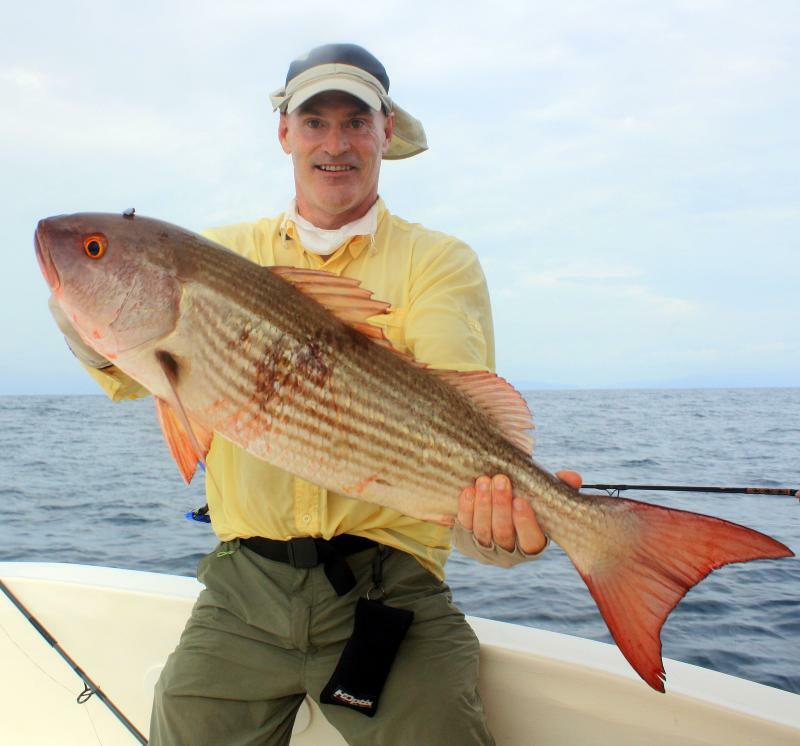 With several client visits occuring during the winter months there was plenty of hot fishing action on the water. 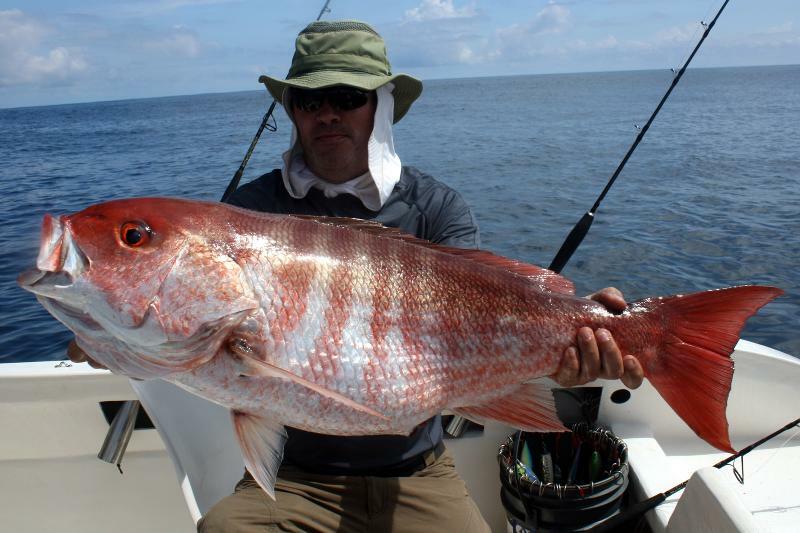 These recent outings have seen a big influx of snapper and grouper to the reefs surrounding Cano Island. 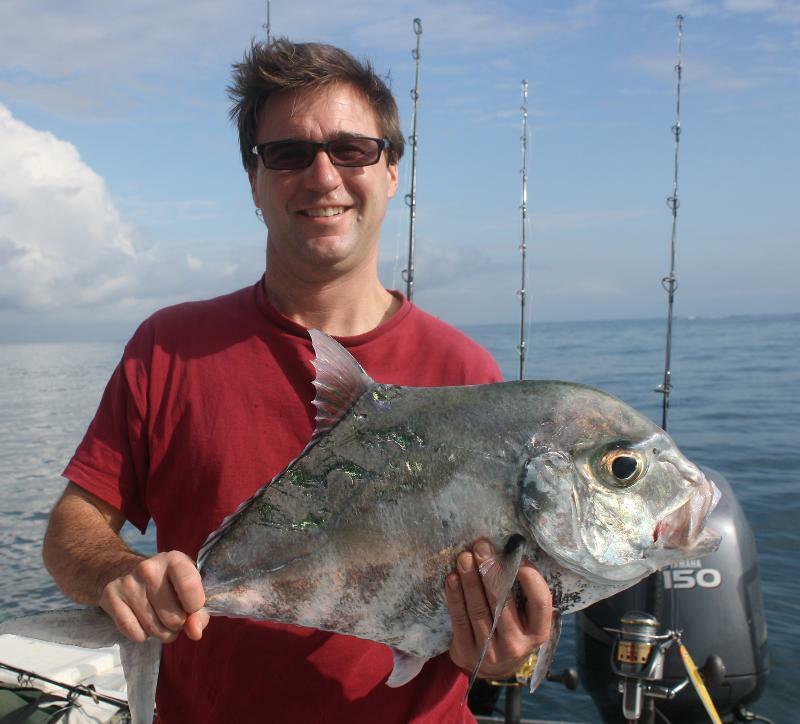 Also in the angling mix were a lot of pompano, amberjack, and black tuna. 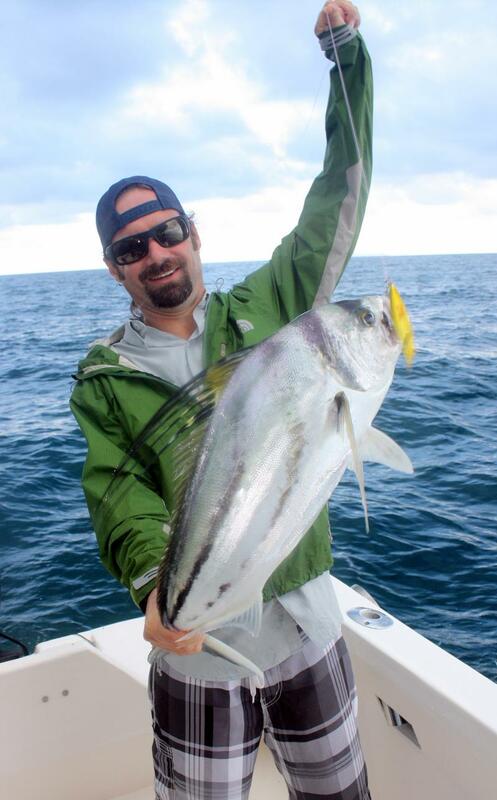 Along the coastal areas large schools of sardines attracted roosterfish, jacks, and spanish mackeral. 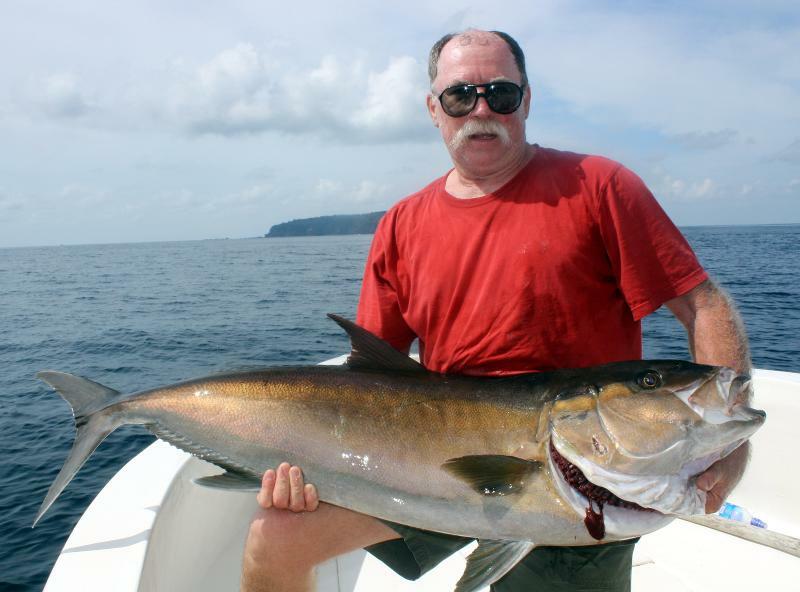 Catches of note include a monster 80 lb. 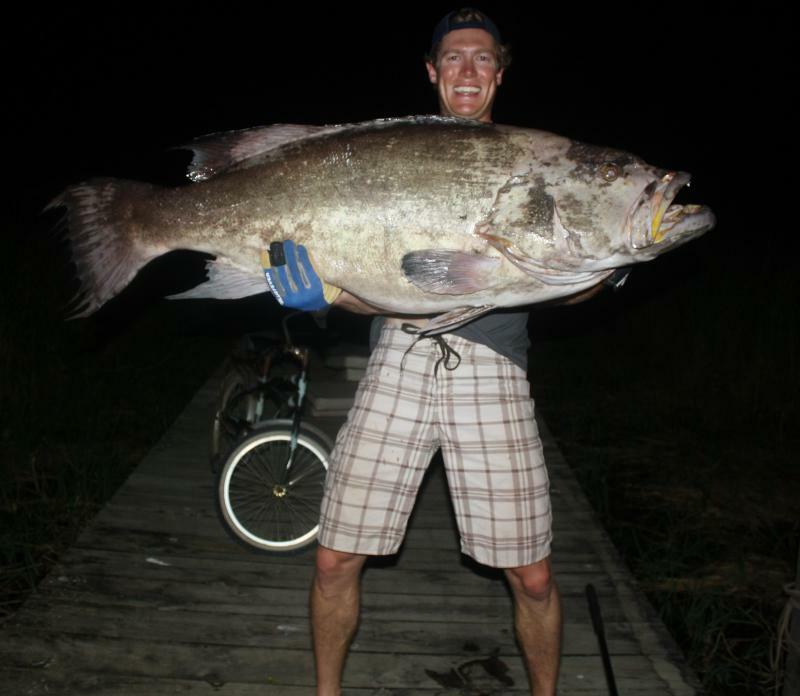 broomtail grouper, a couple roosterfish in the 50 lb. 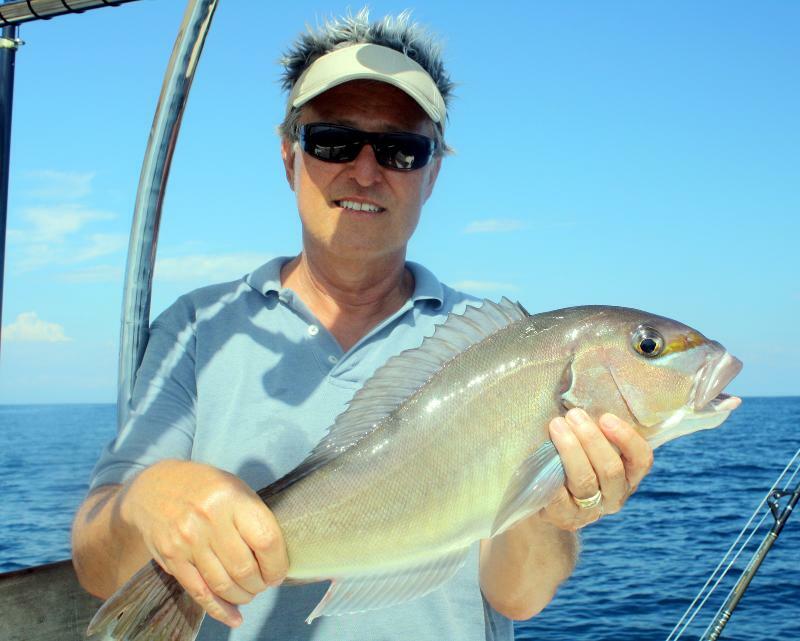 range, and our first ever tilefish. The culinary qualities of the tilefish were exceptional. 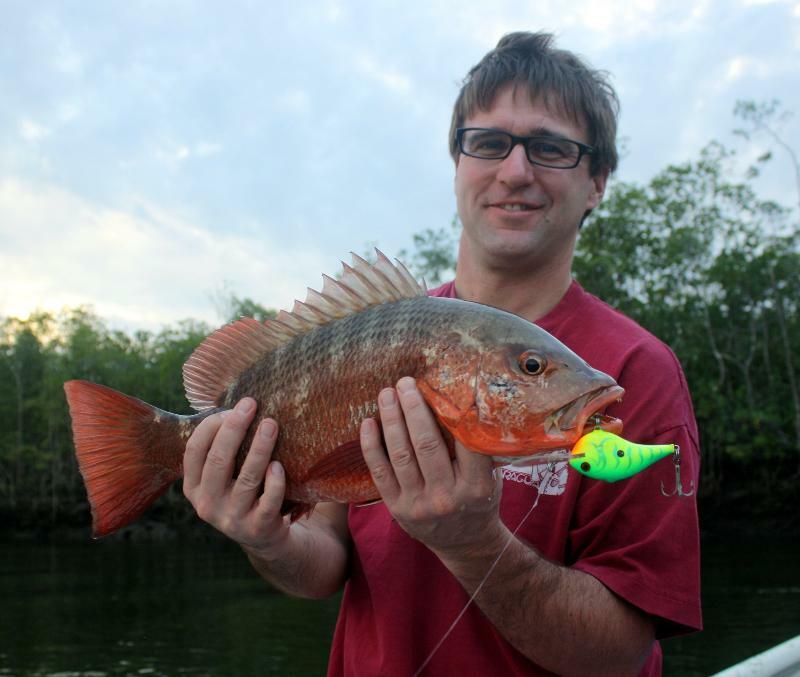 I hope to start catching this species with some regularity! 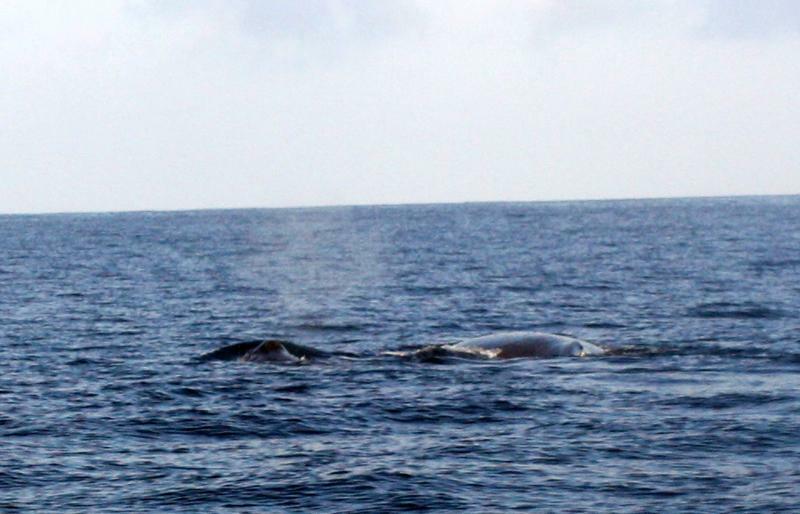 Whale watching was also exceptional during these winter months as well. 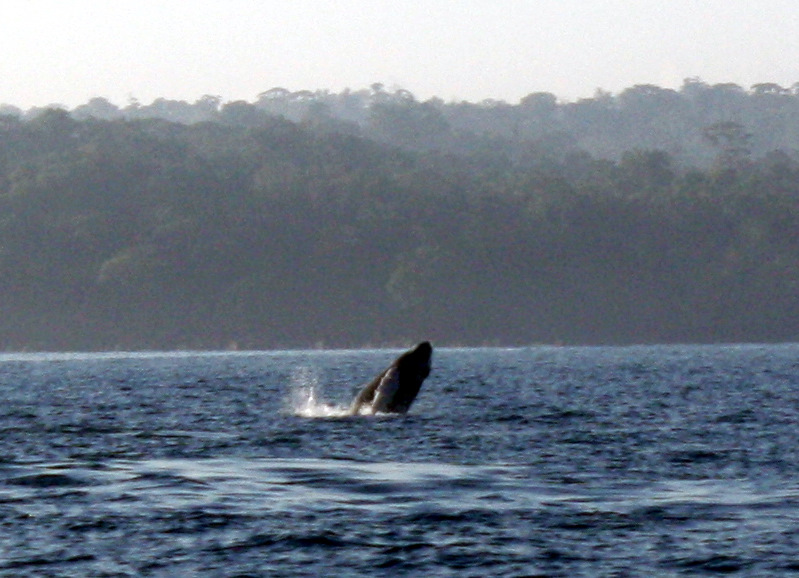 On several occasions our guests were treated to mother and calve humpback whales breaching near Cano Island and along the coast. 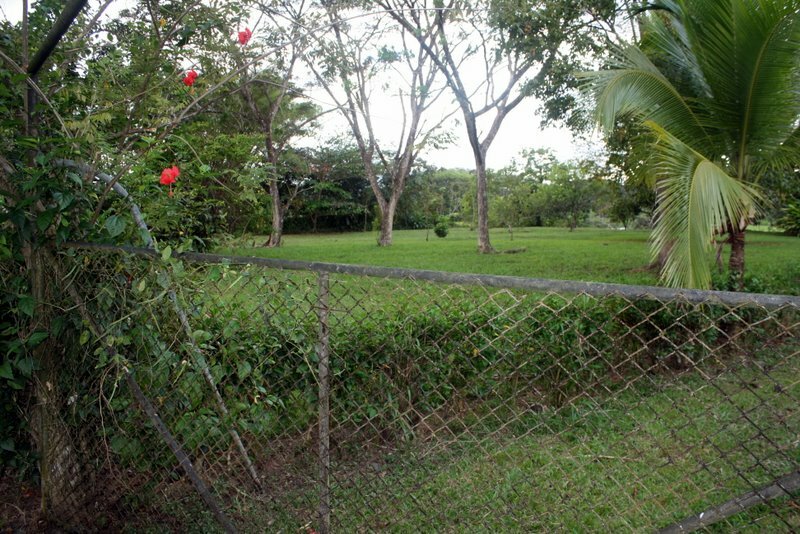 We are proud to present 4 new properties for sale along the "Estero Azul" (Blue Tributary) of the Sierpe River. These 1/2 acre lots possess the following notable attributes: 90 feet of private river frontage, private entrance, river views, mountain views, municipal electric, municipal water, quality 12 month road access. Because the Estero Azul is a man made canal, the setback on all riverfront lots is only 10 meters rather than 50 meters. 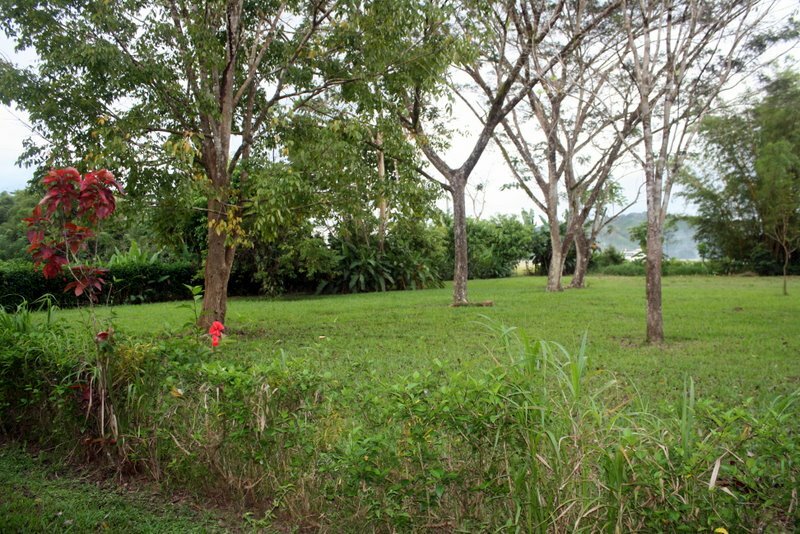 All parts of these lots are flat, drain well, and are well-landscaped with mature hardwoods, fruit trees, and palms. The river frontage occurs on an outside cut-bank ensuring deep water mooring for boats in all tides, 365 days a year. Water, electricity, and extremely good road access are already in place here. The surroundings are very private and very quiet. Birds frequent the area and monkeys visit on occasion. These lots will are a great option for someone desiring the unique combination of river frontage, well maintained municipal electric and road, tranquil settings, and close proximity to the town of Sierpe. 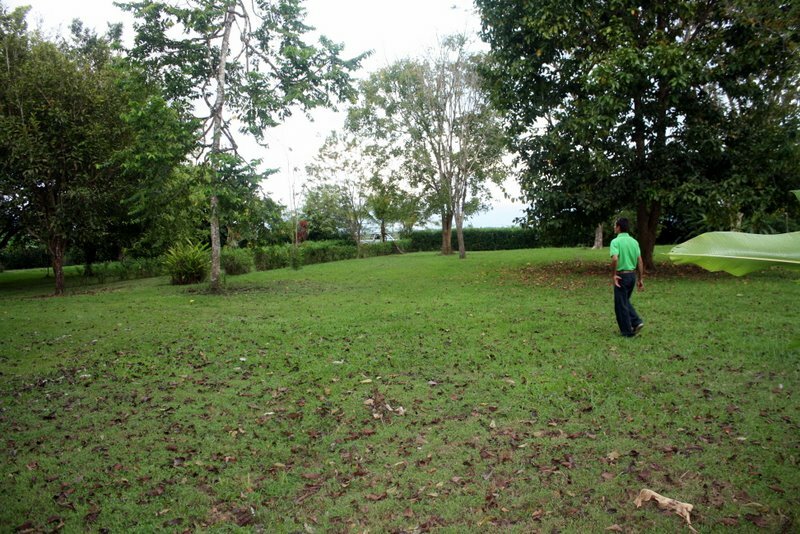 These lots are also well suited to having a swimming pool. Swimming pools have proven to be a feature that makes vacation homes much more rentable. These lots are priced $60,000 to $70,000, however we will be offering a price of $55,000 to our first buyer. For more information on these lots or any of our offerings along the Sierpe River please contact me by email (cfscheer@gmail.com) or by phone (715) 699-2715.